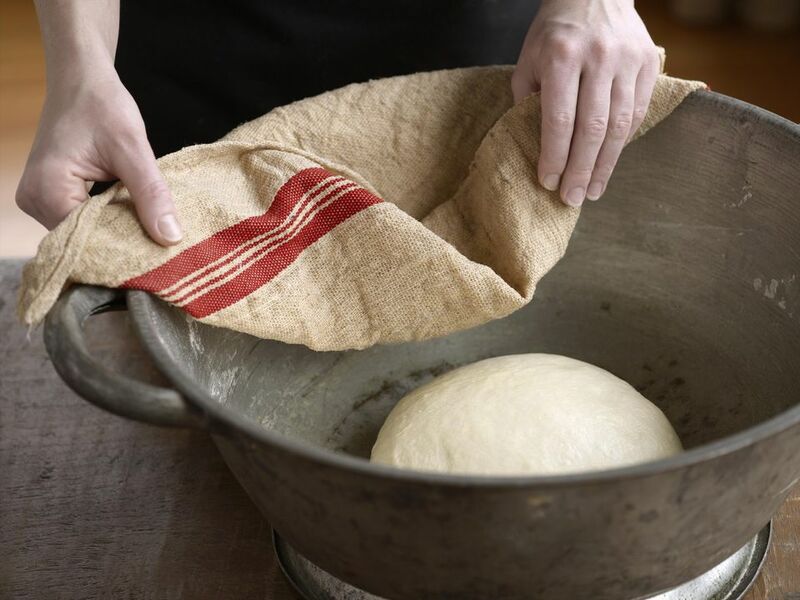 Yeast is a single-cell organism, which needs food, warmth, and moisture to thrive. It converts its' food (sugar and starch), through fermentation, into carbon dioxide and alcohol. It's the carbon dioxide that makes baked goods rise. There are two types of yeast available for sale. One type is Brewer's Yeast, a wet yeast used primarily in beer making. The other type is Baker's Yeast, which is used as a leavening agent. The two types of Baker's Yeast are Fresh or Compressed Yeast and Active dry yeast. They should only be bought in amounts that will be used quickly. Fresh Yeast comes in small square cakes and is perishable. If not used right away, it can be stored in the refrigerator up to 3 days. One cake of Fresh Yeast equals one envelope of dry yeast. It is the most convenient of the two types. It is granulated and comes in little 1/4-ounce packets (approximately 2-1/4 teaspoons) or loose in a jar. Once exposed to the air, it should be stored in the refrigerator. There are two types of Dry Yeast, regular and the other is Rapid or Quick Rising. Quick Rising Yeast takes half of the time to make bread rise. Yeast is basically used in baking bread. In making desserts, yeast is not the most popular leavening agent. There are not that many recipes that call for yeast except maybe Christmas Breads, Sweet Rolls, and some others. The three most common brands of yeast I can find in my store are Fleischmann's Yeast, Red Star and SAF Perfect Rise Yeast. The most common leaving agents in desserts are Baking Soda and Baking Powder. Baking Powder creates a solution that releases carbon dioxide when combined with heat and liquids. Baking Soda does the same thing when combined with acidic ingredients like buttermilk, cocoa, and honey. Baking Soda is in Self-Rising Flour.